An investigation of North Africa, Arabia and Iraq, Israel, Turkey, and Afghanistan. 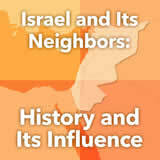 Students explore geography, history, economics, society, the origins of Judaism and Islam, and more. 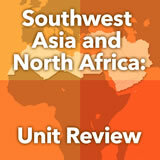 North Africa and the Middle East unit contains 19 learning experiences. Students are introduced to the physical geography of North Africa. They create a map that identifies significant physical features of the region. 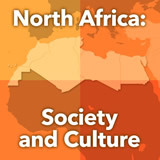 Then they focus on the connection between North Africa's geographic location and the migration patterns, religious beliefs, and languages in North Africa. Finally, they research the issue of desertification, explaining its causes and possible solutions. Students get an overview of the history of ancient Egypt, focusing on the ancient Egyptians' emphasis on the afterlife. 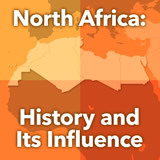 Then they trace the more recent history of North Africa, from colonization to independence to today. Finally, students explore through writing what it might be like to reclaim a community after it has been colonized. 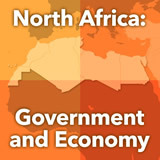 Students learn about the governments of Tunisia, Egypt, and Libya before and after the Arab Spring demonstrations in 2010-11. They interpret results of a survey of Arab youth comparing their situation today to that prior to the Arab Spring. They also reflect on the role of social media in protest movements. Students are introduced to the scope of North African cultures. Then they read and discuss contemporary life in North Africa. Next, students learn about the issues of children's education in North Africa, including gender discrimination. Finally, students research children's rights in one of the North African countries and write a letter in response. 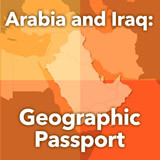 Students are introduced to the physical geography of Iraq and the Arabian Peninsula. Using maps and an article as reference, they consider important features of the region. Then they focus specifically on the water resources of this mostly-desert region. Finally, they do their own research on the Arabian camel and present their findings to the group. In this experience, students learn about the ancient civilization of Mesopotamia, exploring many of its specific features and tracing the influence to today. They look specifically at the sequence of civilizations that led from Mesopotamia to modern-day Iraq. Finally, they research and report on one of the important historical achievements of the region, explaining its significance in the past and in the present. 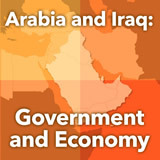 Students learn about the types of governments and economies in the region of the Arabian Peninsula. 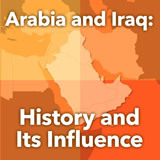 They examine the role oil plays in the region's economies. Finally, they consider several solutions to U.S. dependence on foreign oil and make an argument for one solution. Students explore the non-Islamic religions present in the region, identifying some of their similarities with Islam. Then they learn about hijab and the part it plays in the lives of Muslim women. 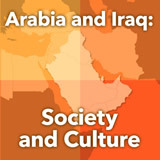 Finally, students explore an inside look at some Saudi women, focusing on what students and these women have in common. Students are introduced to Islam and learn the important events in its timeline. Then they explore the beliefs and five pillars of Islam. They look more closely at Ramadan and Hajj, developing a set of questions they'd like to ask someone about them. Finally, students develop an infographic that is designed to inform younger students about the basics of Islam. Students are introduced to the physical geography of Israel, Palestinian Territories, Jordan, Syria, and Lebanon. They identify significant geographical features, population density, primary people groups, and significant geographical challenges for three of the countries. Then they research and develop a video script for the same aspects of Lebanon. Students learn the history of the city of Jerusalem over the last 4000 years, noting and researching significant events. 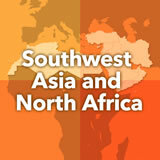 In groups, they then read and research three other countries in the region—Jordan, Lebanon, and Syria. 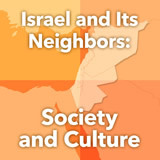 Next, they explore the background to the Israeli-Palestinian conflict and its ongoing nature. Finally, they are introduced to a youth program that brings together children from two sides of a conflict. Students learn about the constitutional monarchy in Jordan and the presidential republic in Syria. Then they learn about the parliamentary republic in Lebanon, with its guaranteed proportional representation based on religion. 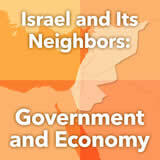 Finally, they examine Israel's parliamentary democracy and the nature of a coalition government. Students learn about some of the cultural features of Jerusalem by exploring its holy sites and its market. Then students explore the cultural heritage of Jaffa. Finally, students research and create a travel brochure for a city in Lebanon, Syria, or Jordan. 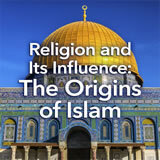 Students explore the common origins of Judaism, Christianity, and Islam. They learn key features of each religion, including origin, beliefs, key individuals, and holidays. Then they identify the shared basis of the three religions. 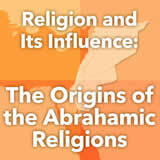 Finally, they learn about the story of Abraham and his legacy in these Abrahamic religions. Students are introduced to the physical geography of Iran, Afghanistan, Turkey, and Cyprus. 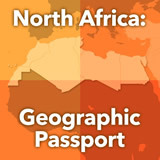 They create a geographic passport of the four countries. Then they identify and compare features of the four countries by creating a map. Finally, students pick a location in the region that they would like to visit and explain why. Students explore the history of Afghanistan and Turkey, noting important events, people, and elements. Then they consider the role that geography has played in the countries' histories. Finally, students do their own research to identify important events in the history of Iran and analyze the relationship between its geography and history. Students explore the recent history of Afghanistan and its implication on the country's government and economy. Then, in small groups, they research similar information on Iran and Turkey and present it to one another. Finally, students research the most recent government crisis in Turkey and write a news report explaining it and comparing it with government crises in Iran and Afghanistan. Students are introduced to the idea that buildings and landmarks have cultural value. Then they learn about the Bamiyan Buddhas in Afghanistan and their destruction by the Taliban. Next, they explore the Hagia Sophia, tracing its history and importance to Christians and Muslims alike. They compare the destruction of the Bamiyan Buddhas with the preservation of the Hagia Sophia. Finally, they create their own cultural/historical record for a landmark of their choosing. including the North Africa and the Middle East Unit.